When searching for a drug treatment center, there is no better place to look than Florida. There are countless drug treatment centers to choose from in Florida, all offering different programs and treatment methods. Figuring out how to choose one that will suit you or your family member can seem overwhelming. Knowing all of your options and what specifics to look for can help narrow down the choices. Depending on your needs, or the needs of a loved one, there are many different levels of care to choose from. There are programs that provide one level of care, such as outpatient only, and others that provide multiple. There are even Florida drug treatment centers that provide medically monitored detox on campus for clients that need it. Florida drug treatment centers can offer different specialized programs including dual diagnosis, gender specific programs, professionals programs, family programs and more. No matter what you or your loved one may be looking for, there is a Florida drug treatment center that can provide it. More and more Florida drug treatment centers are including holistic approaches to recovery into their programs. Holistic approaches to recovery include chiropractic care, acupuncture, massage, yoga, fitness, nutrition and more. Holistic approaches to recovery are used in Florida drug treatment center for a few reasons. The first reason is that they provide recovering addicts with a drug free way of managing pain, anxiety and stress. They have also been shown to help addicts reduce cravings over time. As an added benefit, they provide recovering addicts with healthy activities they can continue with after leaving Florida that will help them stay on track. 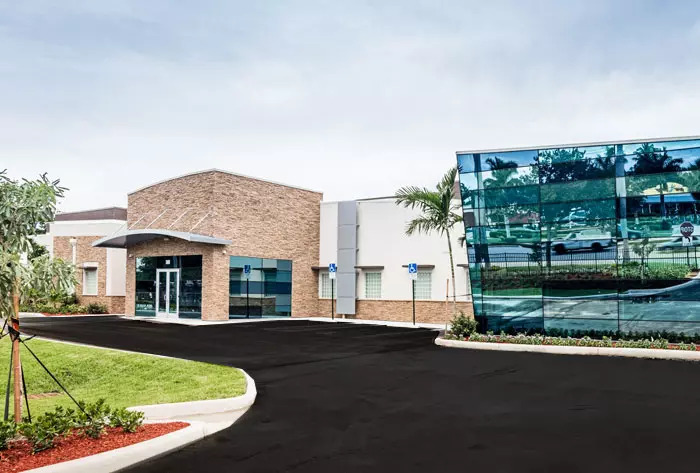 When searching for the right Florida drug treatment center, cost will be a factor in almost everyone’s decision. Luckily, the cost of a program is not always indicative of the quality. In fact, some of the best drug treatment centers in Florida work hard to provide affordable care to everyone who needs it. There are also ways to make going to a Florida drug treatment center a bit more affordable. For individuals with medical insurance, calling your insurance company should be your first move. Many insurance companies will cover at least a percentage of a clients stay in a treatment center. For individuals without health insurance, there are still ways to find a wonderful program that you can afford. Speaking with the programs you are considering is a great way to find out about resources that may be available to you as well as non-profits that work hard to help individuals in need find ways to afford going to a Florida drug treatment center. No matter what your situation is, there is a Florida drug treatment center that can help you or your loved one. At FHE Health we encourage everyone to do as much research as possible before deciding on a drug treatment center for you or your loved one. Please call us now at (844) 299-0618 for more information on Florida drug treatment centers.